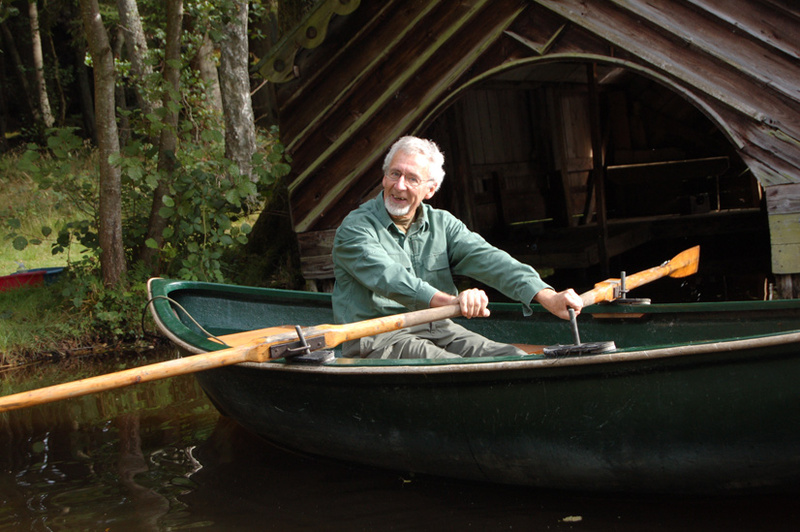 I know from the many comments I receive that Gordon was much loved by viewers of the Wild Food series. What few will know is that even then, while filming, Gordon was also coping with his condition, which would cause him to sometimes take strange awkward poses or even to freeze. But despite these challenges he remained a human being of energy, with boundless enthusiasm for life an unquenchable fascination in nature and an irrepressible sense of humour. At our first meeting an instant friendship was established through our mutual passion for wild plants. This would blossom into a collaboration of over ten years solid research as we tried to understand what wild foods would have been available to Britain’s last hunter gatherers at the end of the British Mesolithic, a time before organised farming and the availability of cooking pots. The research was both massively rewarding and difficult, the nearest I have ever come to self-poisoning, was as the result of one of Gordons experiments. Inevitably the day came when sitting beside a Lochside campfire, in a particularly beautiful spot, Gordon saw the opportunity to tell me that he would no longer be able to join me in the field. In truth we had both known this for some time. Gordon was the kindest human being I have ever known, wherever he went he made friends and left people smiling; no better example being the time that we spent together with Aboriginal communities in the Australian outback. To say that he was loved by the Aboriginal people we worked with would be an understatement. There are places which will always remind me of Gordon, some where the memories are so vivid that I can no longer visit them. In a world where so many pronounce themselves as experts when they are but mere beginners, the loss of such a man, a true expert, is most deeply felt. My thoughts go out to his family who he so loved, as well as to the friends who cared for him in recent times. I have just found out about Gordon’s passing and I am so upset. As a nervous undergraduate at the Institute of Archaeology in October 1994 – unsure of my footing, having no A Levels, being the first in my family to study for a degree, and having discovered just how prestigious UCL is considered – I was set an essay by him about archaeobotany. Gordon gave me a startlingly good grade which got me going on a journey which hasn’t yet ended. We had to do a presentation around that time and I chose to talk about my experiences as a homeless person, from the context of what we had been told was necessary for the survival of humans – I called it “The Homeless Hunter Gatherer” and he was blown away. Gordon began to fight the students’ corners at faculty meetings when he realised the impact of loans on us, after finding out I was getting up at 5am to work as a breakfast waitress in a hotel in Bloomsbury before heading to lectures; he told me that lecturers could no longer assume that university held the entirety of a student’s attention. He also introduced me to an old colleague of his, Dr Peter Reynolds, the founder of Butser Ancient Farm in Hampshire, where I spent 5 weeks in 1995 as part of the fieldwork requirement of my degree – Peter was growing many ancient species of crops and it was mindblowing to study them for real. Peter also profoundly altered my worldview and had a lasting impact on my life. Oh no, Gordon, nothing was ever boring with you around. You made my 3 years at UCL the happiest I could ever have hoped for. Ray, I’m sorry too for your loss. A bright star, one of a kind. Such a dear man. So well written, a fitting tribute. His enthusiasm, passion and knowledge were an example to follow. I never knew him but one could tell he was a cultured, considered and brilliant man, and I would think a very kind man too. It’s so sad to lose someone with such knowledge and charisma. In many ways he reminded me of the late, great Jack Hargreaves whose programmes about country life were completely absorbing. Ray, I feel such sadness at the news of the passing of Professor Hillman. 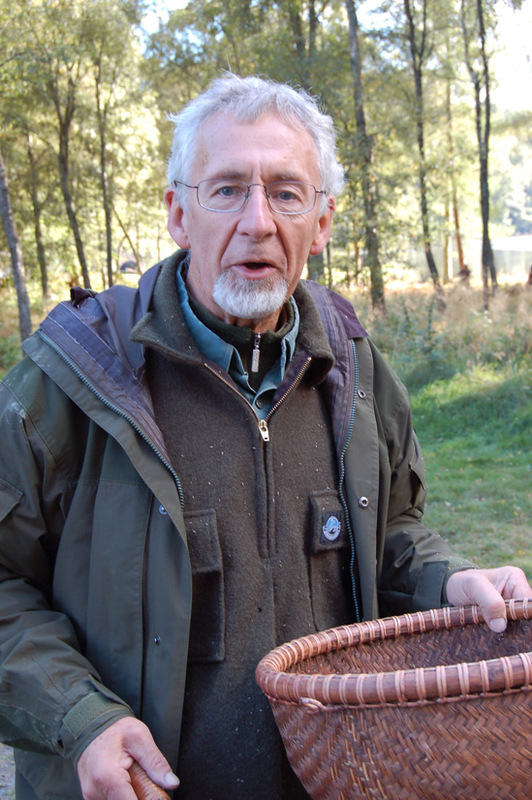 As a regular attendee of Woodlore courses, and an avid watcher of your programmes of the pair of you working together to explore the natural world around us, I am truly sorry for the loss to his family, you and the Woodlore team…it is clearly evident that you and he had a special bond! A great loss to us all; I think it good to remember that not many of us will have the opportunity to leave such a great legacy as he has! I loved watching Professor Hillman and Ray play off each other in the wild food series . A true gentleman . My deepest condolences to friends and family . Such sad news, the wild food series is what inspired me to start foraging and Gordon was a big part of that. I watched it so many times now and it’s one of my favourite series. My prayers go out to Gornon and his family, God bless him. Wonderful words….. For a Wonderful man ! Beautiful thoughts at a sad time Ray. Gordon’s life had a wide reach and he will be missed by many. Such sad news, I so enjoyed meeting Gordon and working with him when we were putting the Wild Food book together. My thoughts are with Gordon and his family,fly high my friend may god be with you ! Such sad sad news, my thoughts and wishes to Gordon’s family and all at Woodlore. He will be greatly missed. Beautiful words – Ray Mears. That was also the impression i got from watching Wild Food. Already then you could see him strugling but that was such a beautiful and inspiring series. You couldn’t have giving him a better legacy for years to come than making that series with him. I’m in the forest for some days in beatiful sunshine here in Denmark. Birds singing and wind in the trees. I’ll send him good thoughts and hope he will meet some hunter gatheres on his journey. Beautiful eulogy. I loved Gordon’s infectious enthusiasm in the Wild Food series.